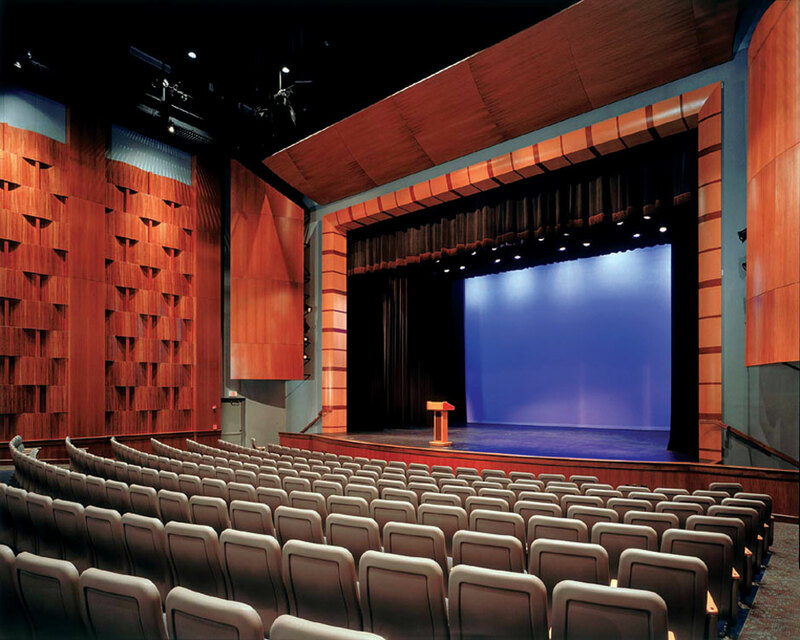 The renovation of the Broward College South Campus Auditorium transformed an unusable raw auditorium shell structure with troublesome acoustics into an elegant Performing Arts Center. 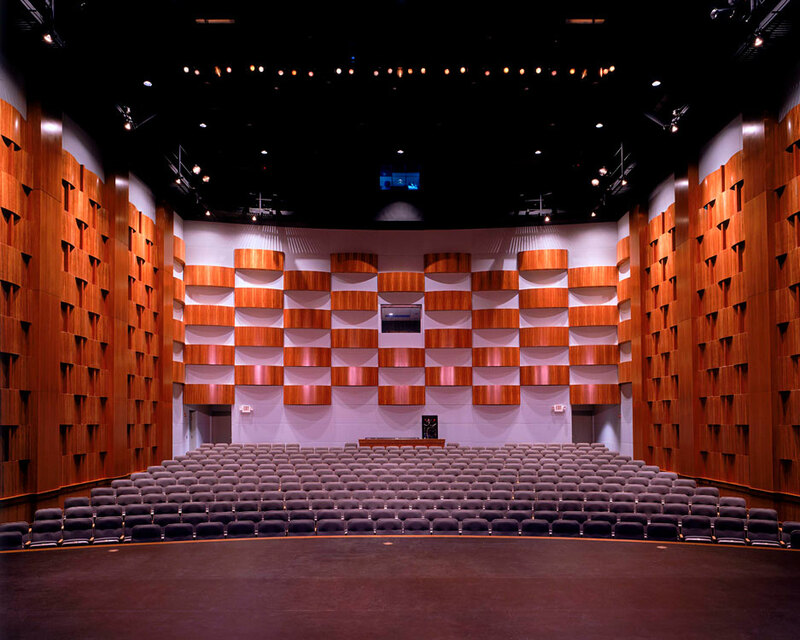 The renovation provided a completely new interior design that responded to both theatrical and acoustical needs of the center. 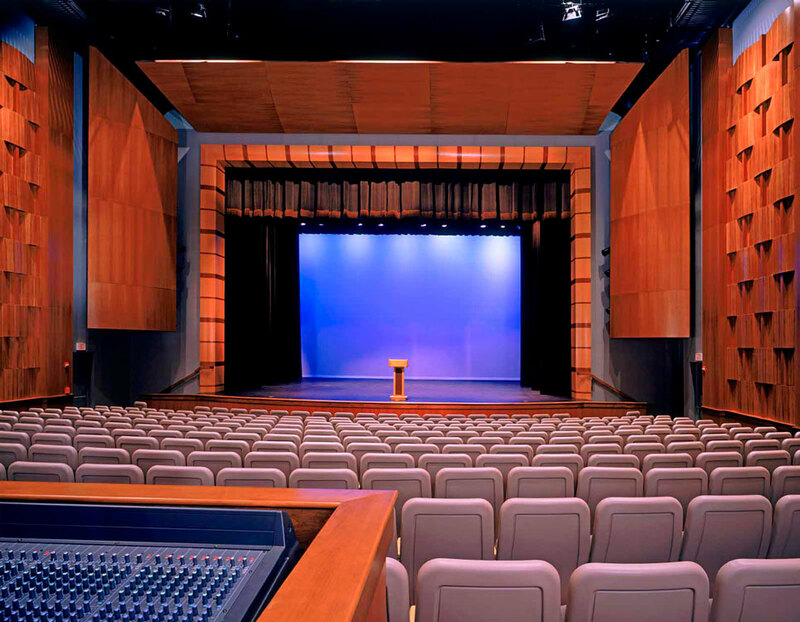 In addition, work included A/C noise remediation measures, new sound and communications systems, new theatrical rigging and lighting systems and reseating of the entire hall in a continental style arrangement. The result is a first class fully functional performance venue with exceptional theatrical capabilities and superb room acoustics that is available to both the College community as well as the general public. A new lobby and green room as well as new backstage facilities and dressing rooms were also designed as part of a subsequent phase.